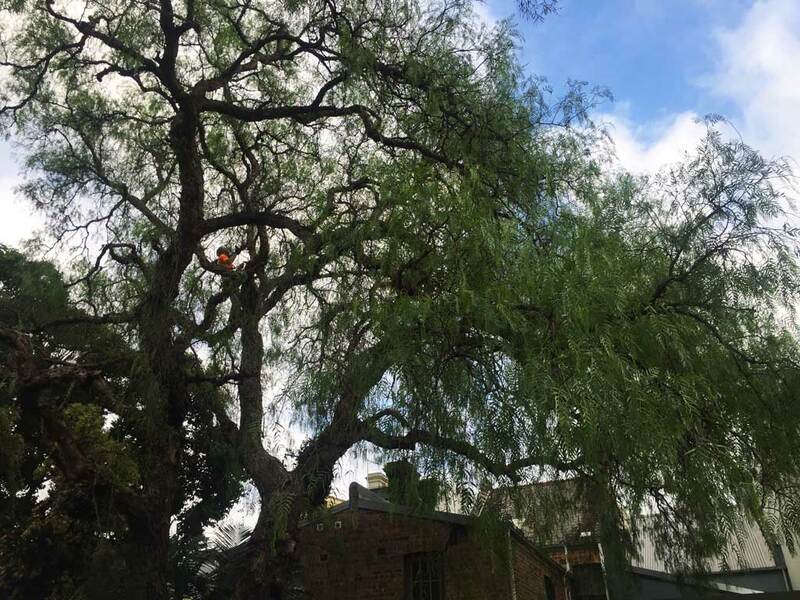 When you have a protected tree this large in your backyard, regular maintenance is required. Reducing the canopy of this Peppercorn tree by 5% allowed more light to filter below. It is important to shape the canopy as part of the pruning process, so the tree remains balanced, and aesthetically appealing. 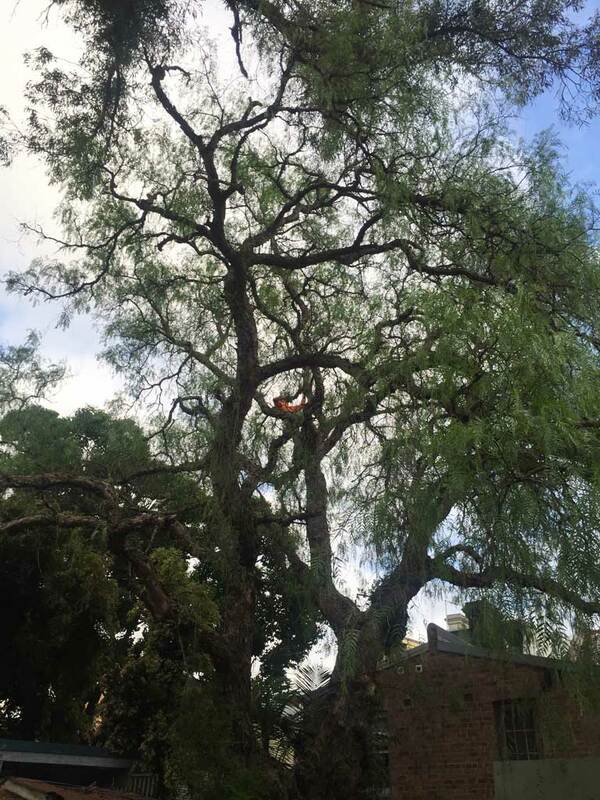 Always call a professional arborist for this kind of work.